Industries have accepted loss of life as a cost of doing business. 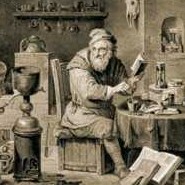 Issac Newton, the founder of modern Physics, was toxic with many heavy metals from Alchemy experiments he performed at Cambridge University in London. Click here to read the history.